“Sculptra is a product that has been on the market of almost a decade now. I have been achieving very natural results by utilizing this excellent product. It is made of a material called poly-L lactic acid. This fancy term essentially means that it induces a collagen production and enhancing effect by stimulating the deeper layers of this skin. 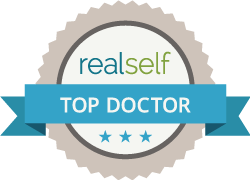 When it first came out, I was very conservative and waited to see how the product worked for other plastic surgeons before I became involved – and this was for good reason as the early adopters of this product had experienced some side effects. After years of perfecting the the technique, I have now been offering the treatment for the past 4 years with excellent, natural results. It does wonders to fill in the temples, lift those cheeks, fill in smile lines, and enhance the jaw line to reduce jowls. Very natural. Minimal to no swelling. You’re back to to work the next day.